Home Actresses Is Jamie Clayton Transgender? What Was She As A Boy Before? Fame they say doesn’t come by age; Jamie Clayton is a clear proof to that fact. The American actress garnered fame in her thirties following her appearance in the Netflix series titled Sense8 in 2015. Jamie played the role of Nomi Marks, a transgender female political blogger, and hacker in the series which was also directed by a transgender filmmaker. Clayton has featured in other movies including the award-winning comedy television series titled Dirty Work and the American sitcom Are We There Yet? Apart from movies, Jamie is also a model as well as a social media sensation having millions of followers on social media platforms such as Instagram and Twitter. She has appeared on the VH1 first makeover show titled TRANSform Me as a makeup artist. 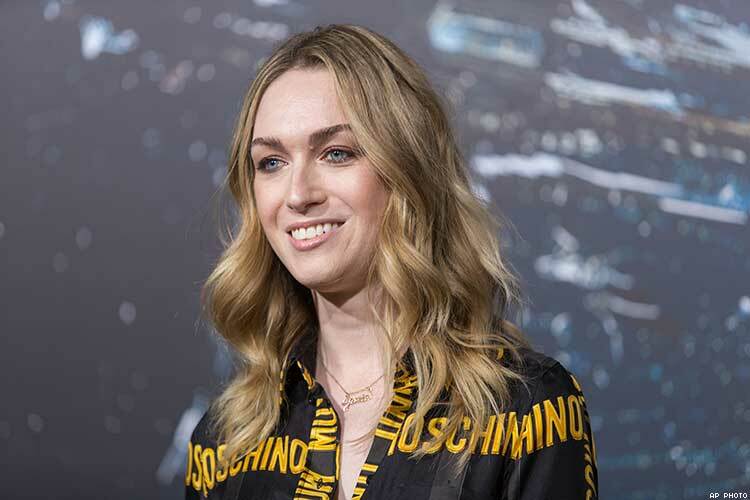 Learn more about Jamie Clayton, find out if she is a transgender and what she looks like as a boy, as well as, other interesting facts about the amazing actress below. The star actress Jamie Clayton was born in San Diego, California on January 15, 1978. She is the daughter of a criminal defense attorney Howard Clayton and his wife Shelley, who is an event planner. She holds American nationality and belongs to white ethnicity. There is no information online regarding Jamie’s childhood life and educational background. It is already known that Clayton spent her childhood days along with her parents and sister Toni in San Diego. When she was nineteen, she relocated to New York City to pursue a career as a makeup artist. While in New York, Jamie starred as a makeup artist on the VH1 television makeover show titled TRANSform Me in 2010. Her outstanding role made way for the amazing actress to be listed among the Out 100 by the LGBT fashion and entertainment magazine called Out Magazine in 2011. Following her undeniable passion for acting, Clayton ventured into acting making her first film appearance in the 2011 series titled Hung. Clayton portrayed the recurring role of Kyla in the third season of the HBO series and the following year, she played the role of Michelle Darnell in the award-winning series titled Dirty Work. Later in the same year, she appeared in an episode of the sitcom titled Are We There Yet? She also starred as Nadya in an episode of the series Hustling and Niamh in the 2014 series titled Scisssr. Jamie Clayton got her breakthrough in 2015 following her role in the Netflix series titled Sense8. The amazing actress played the role of Nomi Marks who is a San Francisco transgender political blogger and hacker. The movie was directed by a transgender filmmaker Lana Wachowski and she starred alongside Tina Diesel, Valeria Bilello, and Daryl Hannah. Furthermore, Clayton made her first big screen appearance in the 2016 psychological horror film titled The Neon Demon alongside Christina Hendrick, Keanu Reeves, Elle Fanning and Jena Malone. She also played the role of Avery Bowman in the television drama series titled Motive the same year. Clayton portrayed the role of Edda in the thriller The Snowman as well as Mass Effect: Andromeda and The Chain in 2017. If you are wondering if the amazing actress is a transgender or not, well, the answer is yes. Unlike many other top transgender celebrities including Caitlyn Jenner; Jamie Clayton is also proud of who she is. Alongside the transgender filmmaker Lana Wachowski, Clayton saw her role in the Netflix series titled Sense 8 as an avenue to show the world who she really is. She has been an advocate and supporter of the LGBT community; inspiring the transgender, gay and lesbians who aren’t proud of who they are. In addition to that, Clayton is seen as an icon in the LGBT community. She uses any available opportunity to pledge support to the community. Jamie has continued to be in the spotlight and has been playing brilliant roles in different thriller movies. What was she as a Boy before? A glance at the stunning actress Jamie Clayton, you’d hardly believe she was a boy at some point in her life. Before she garnered fame, Clayton went for several auditions for transgender roles; but each time she would be turned down because she doesn’t really look it. She attended acting classes for gay actors which contributed to her success in the American film industry today. Clayton grew up as a boy before she transitioned fully into a woman. Her transition occurred in 2003 during her family’s vacation outside Tuscon; there she had a compilation surgery. The surgery which lasted for six hours was carried out by the renowned Dr. Toby Meltzer and it’s worth $16,000. Ever since her transition, Jamie has continued to be a spokesperson for many other people; especially those who don’t have the courage to open up about their sexual orientation.